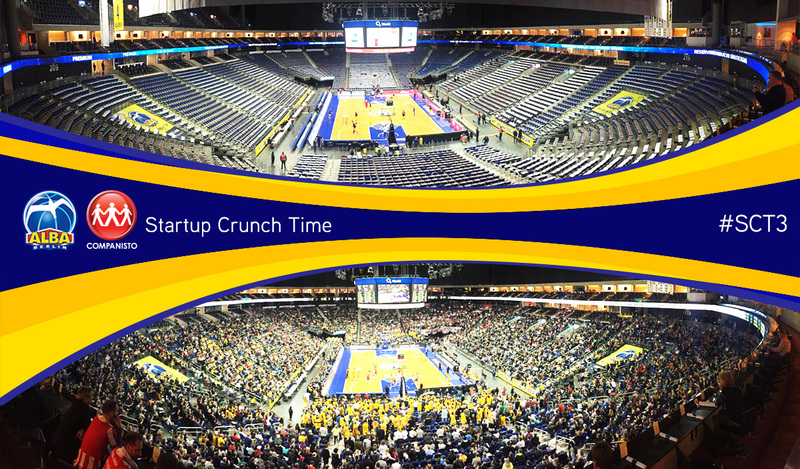 On Thursday, 26 March 2015, Companisto and German first-league basketball team ALBA Berlin hosted the third Startup Crunch Time in the context of the Euroleague match between Red Star Belgrade and ALBA Berlin. Again, an illustrious group of 30 select company founders and journalists of WELT Kompakt and Gründerszene visited the o2 World, where they met with speaker and serial entrepreneur Stephan Uhrenbacher, who is famous for his companies Qype and 9flats among other things. Uhrenbacher (in the middle of the photo; on the left: Companisto managing director David Rhotert; on the right: Ansgar Niggemann, Head of Marketing & Sales at ALBA Berlin), who has been developing digital business models since 1996, talked about his private life, his career, and the experience he gained in the German and the American start-up industry, and he also criticized certain founders' approaches. Afterward, the founders asked Uhrenbacher some questions, for instance about the way in which his workload has changed over the years and about his way of dealing with the ups and downs of entrepreneurship. 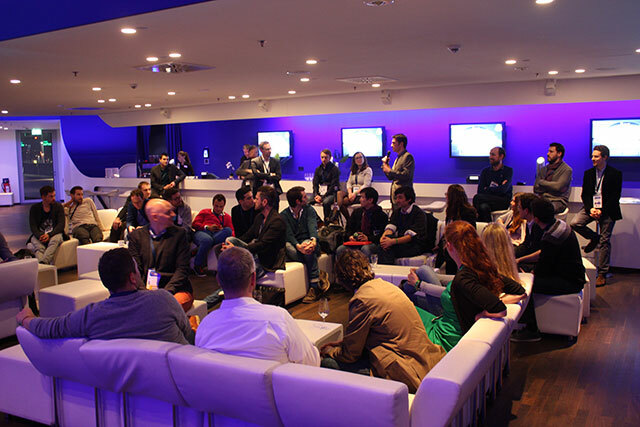 After a stimulating discussion in the Blue Room and a tour of the o2 World, the event continued with relaxed networking in the VIP restaurant. The founders then watched the highly exciting basketball match against Red Star Belgrade either from the reserved start-up section of the hall or from the restaurant. In terms of sports, all participants also had a great night: ALBA Berlin played a tight Euroleague match against Red Star Belgrade. In the round of the 16 best European teams, ALBA had to win the rematch against this Serbian powerhouse and ultimately achieved a 73:68 victory. During the match, ALBA had already had a 19-point lead, but then Belgrade made an impressive comeback. You may watch a summary of the game here (video source: ALBA Berlin). Real crunch time: Because of the 73:68 victory against Red Star Belgrade, ALBA still has the chance to reach the Euroleague quarterfinals. We would like to thank all founders and particularly Stephan Uhrenbacher for coming. 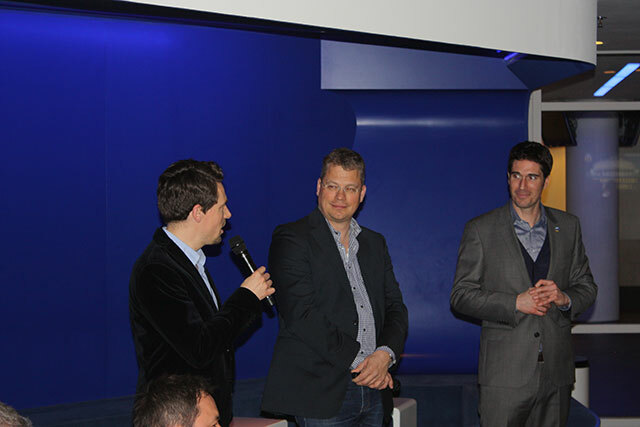 Moreover, we would like to thank ALBA Berlin for organizing and hosting this fantastic event. 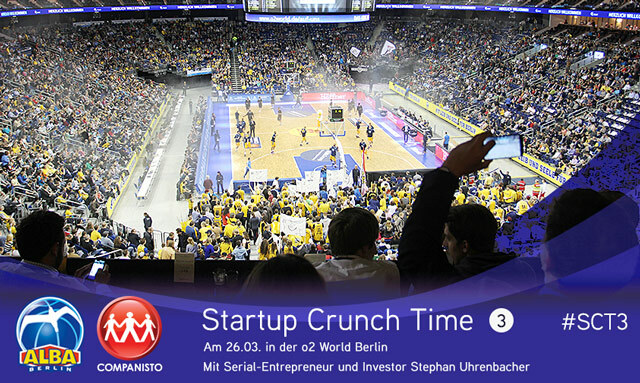 By the way, we posted some additional pictures of the 3rd Startup Crunch Time on Facebook. For some pictures of the 1st and 2nd Startup Crunch Time, please see here and here.